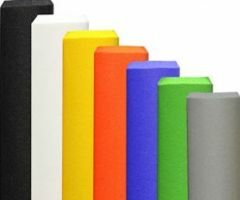 Simple silicon rubber grips that give so much comfort you'll soon forget you're holding them! Nice and light, no collars or clamps - work in the wet too! 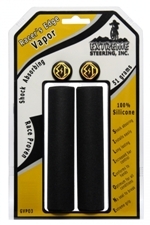 Can be used with grip shifts - simply cut one in half! 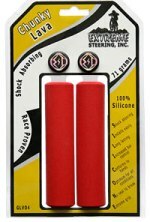 We use these on all our bikes now - they're that good! 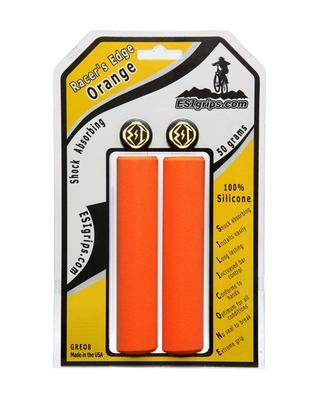 Design : ESI grips are designed and manufactured by a bicyclist to be the best. 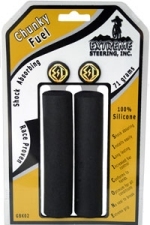 Engineered : Engineered one side thicker for absorbing shock and vibration with the opposite side thinner for bulk-reducing comfort, combined with the best materials and the best production process this creates max shock absorption and grip, while maintaining the lowest weight possible and highest level of durability. Memory : No tread or logos needed! 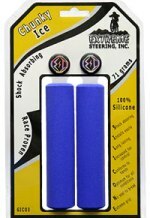 Silicone has a memory; when you grab an ESI Grip you get a custom mold of your hand for a no slip ride every time. 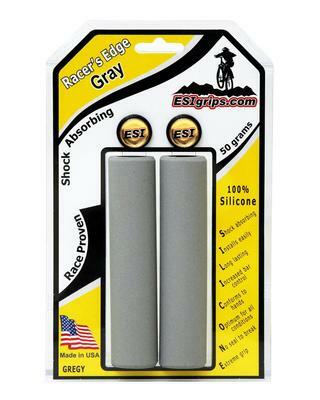 Proven : These race proven lightweight grips are used by bicyclist all over the world. 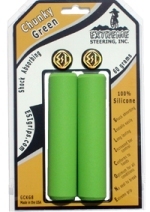 Grip Shift or Custom sizes : You can cut ESI grips with sharp scissors, utility knife, pipe cutter, etc. 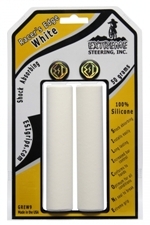 Hold next to your bar and cut leaving an extra 1/8” in length. We recommend Chunky style for a smooth transition on Grip Shift. Installation : Clean handle bars. 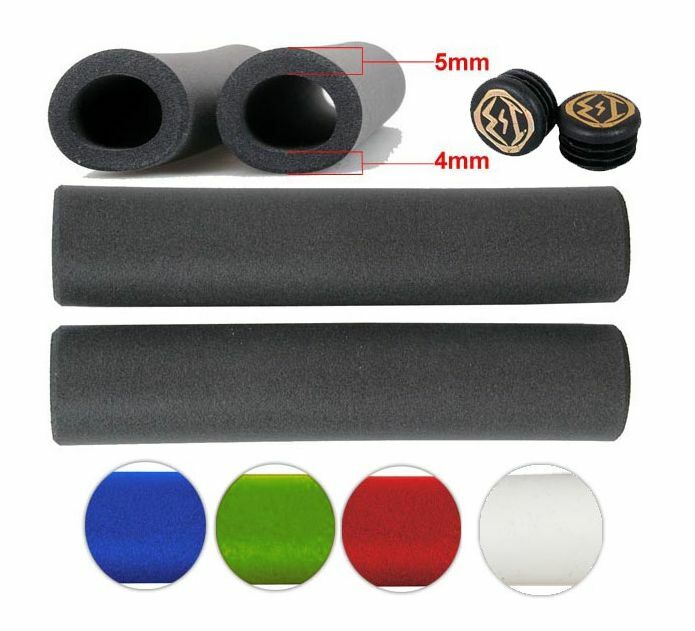 Press in End Caps. Using Rubbing Alcohol or Window Cleaner clean inside of ESI MTB grips, wet bar and inside of grip, slide onto bar. Rotate grip to have the Thicker side towards palm. Let dry for 24 hours. Removal : Slide a screw driver with a dulled point (or something similar) under grip (careful not to scratch bar or stretch grip), squirt Rubbing Alcohol, Window cleaner or water under grip, twist grip off bar. Clean inside of grip with Rubbing Alcohol or Window cleaner and reinstall. If you have access to a compressor just blow them off.